Rubberised look plastic with metal band. 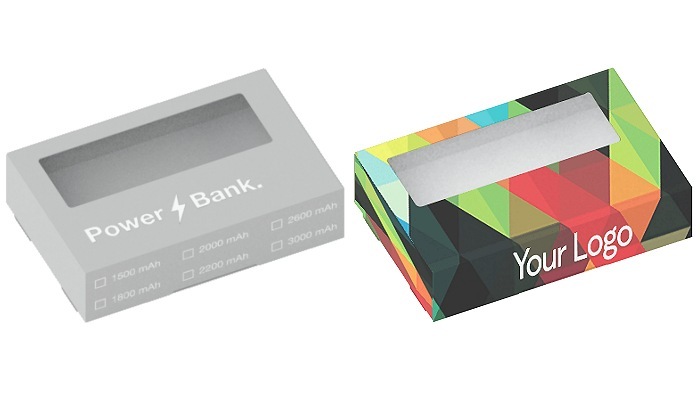 A logo printed 4400mAh power bank in rubberised look plastic with rectangular base and square-cut edges. A polished metal band at the base in three finishes: gold, gun-barrel or copper. The plastic body, which is available as standard in four different colours, features a hole for threading cords and accessories, and it can be customised with silk-screen printed logos and graphics.